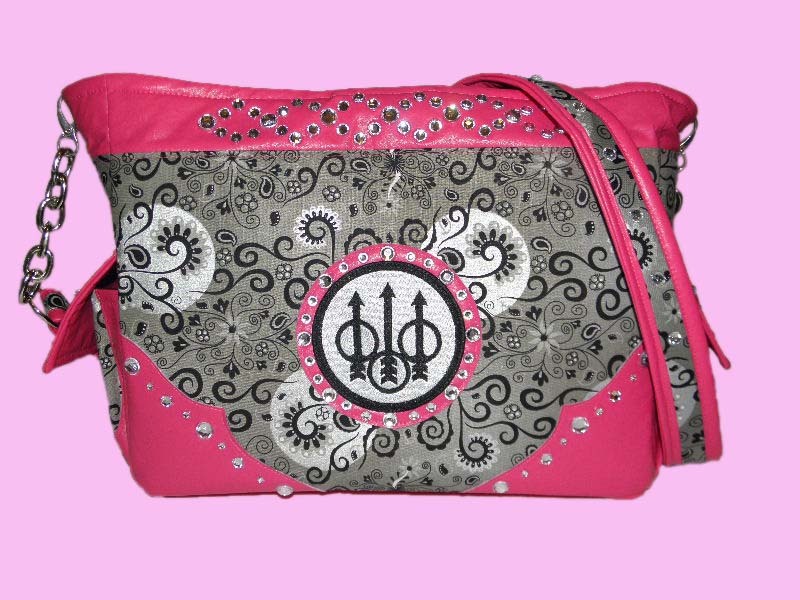 bling bag: Available in my Etsy store. 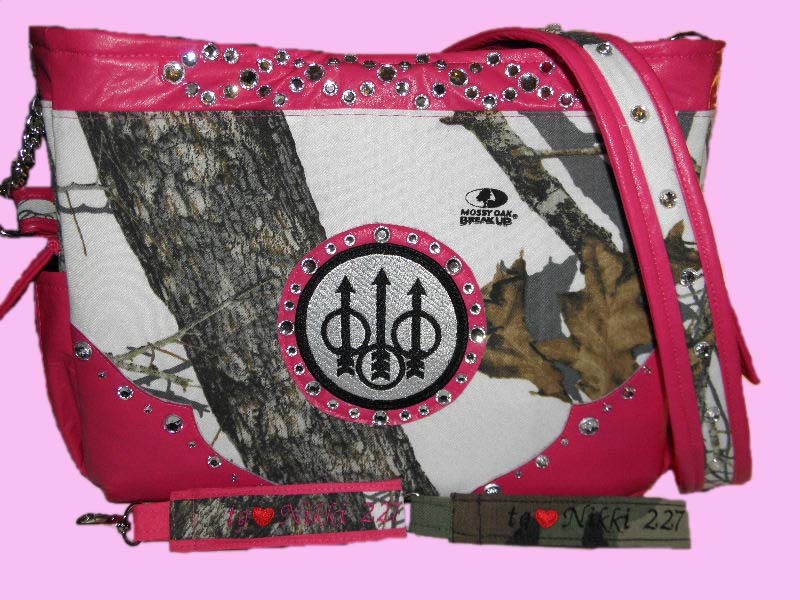 I chose Snowy Mossy Oak and pink vinyl for my purse. 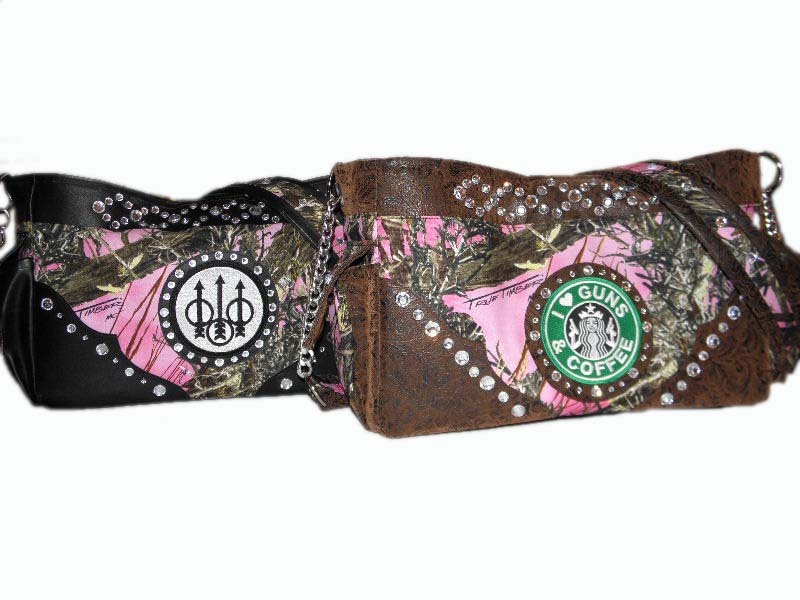 Other vinyl colors available: pink, black, brown, turquoise, dark red alligator and black alligator. 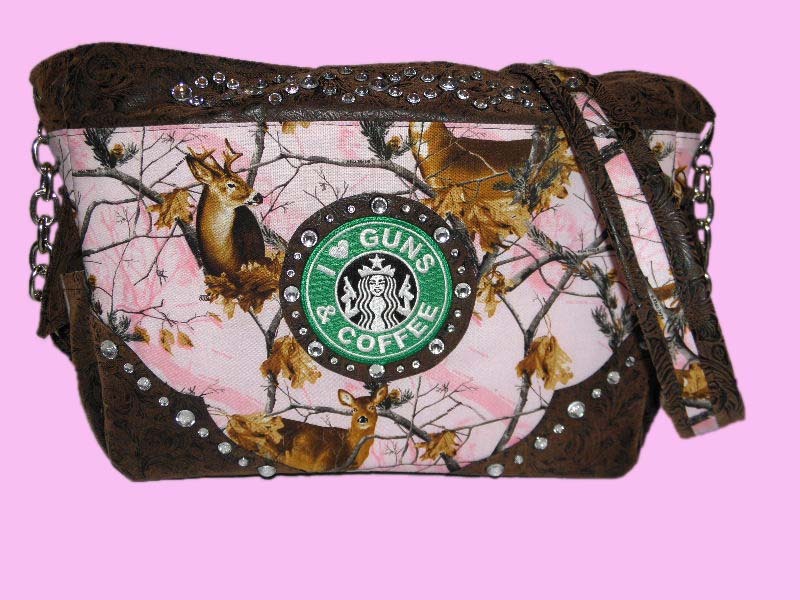 Optional concealed carry pocket available. 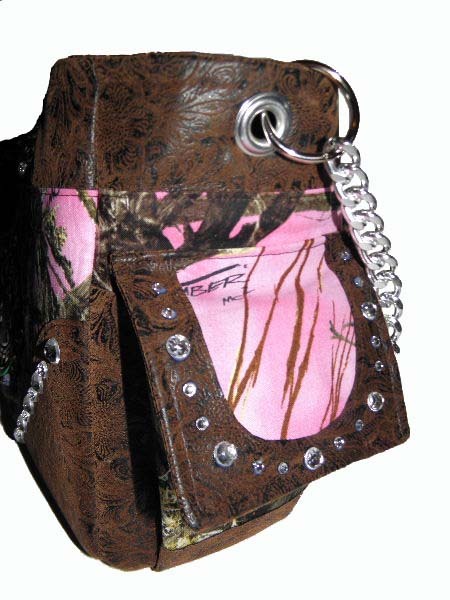 add a concealed carry pocket to any bag for $15. 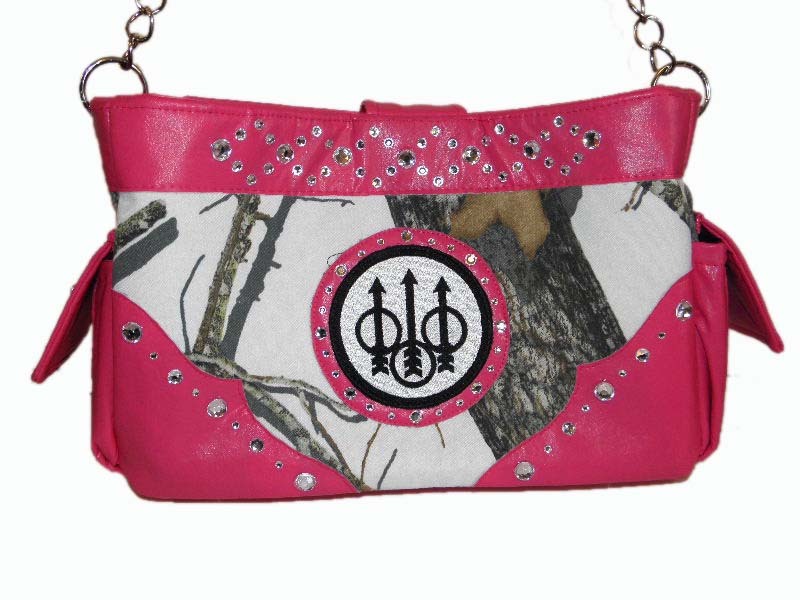 This is the first of many Bling Bags, a new line I have begun. 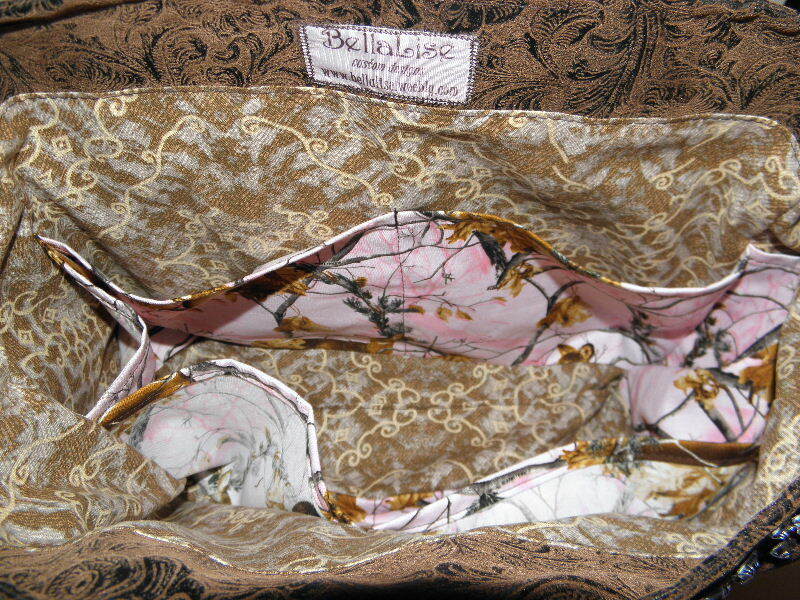 The bag measures 14" wide x 9" tall x 5" deep. I chose a Beretta patch for the front of mine, but other options are available. Choose a single messenger strap, or two shorter straps. 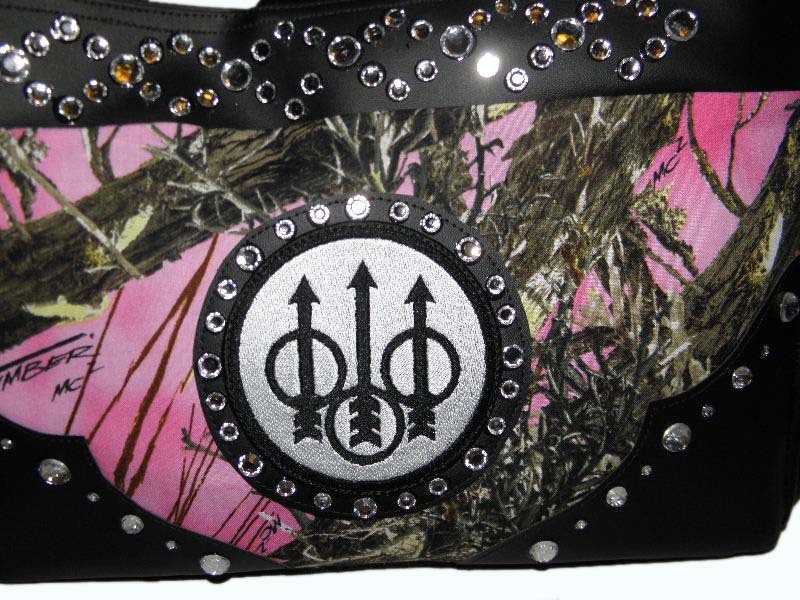 They are attached with chain and grommet, and the strap also has rhinestones down the middle. 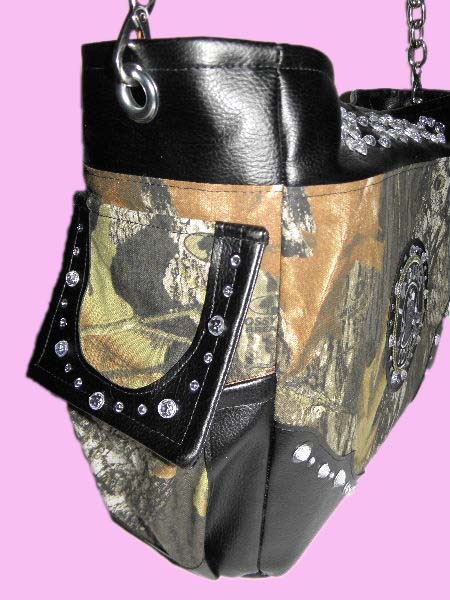 Side pockets are vinyl and have rhinestones on the flap. Back has two pockets (optional one longer pocket). 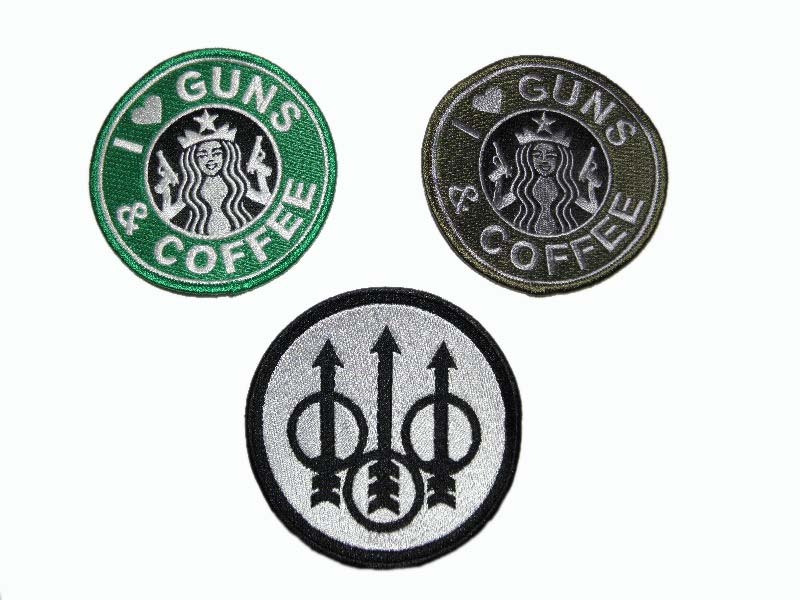 The new "I <3 guns & coffee" patch in subdued colors. Also available in traditional green. Add $5 of you would like this added inside your bag. 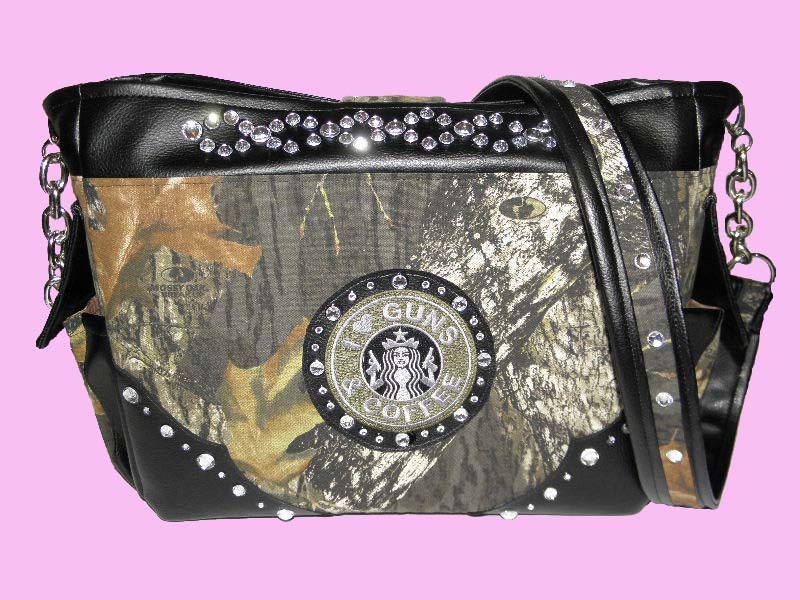 The best part of this new handbag: an optional concealed carry pocket! 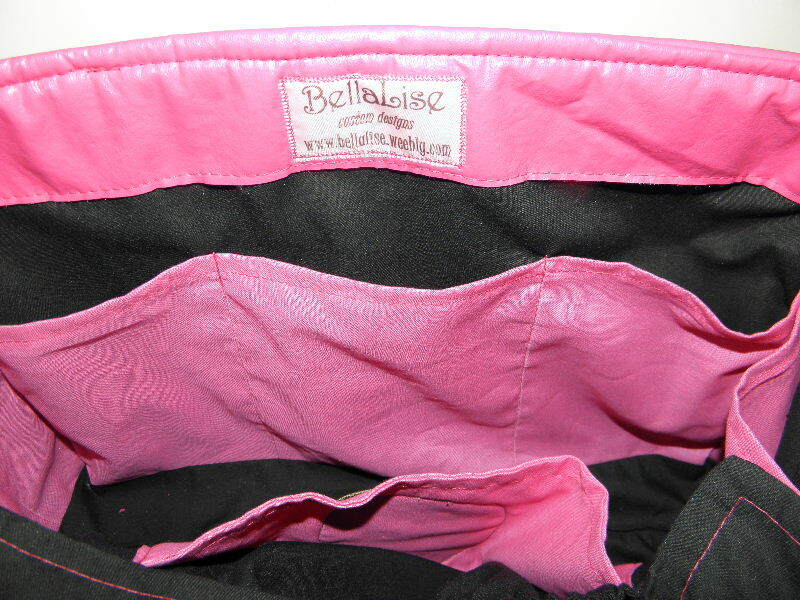 This pocket blends in with the lining of your bag, behind additional pockets sewn to the front. No hook and loop or zippers on this pocket, which would be incredibly noisy. This pocket flap has a bungee and button should you want to snug it closed, or leave undone and no one will even know you have it in there. 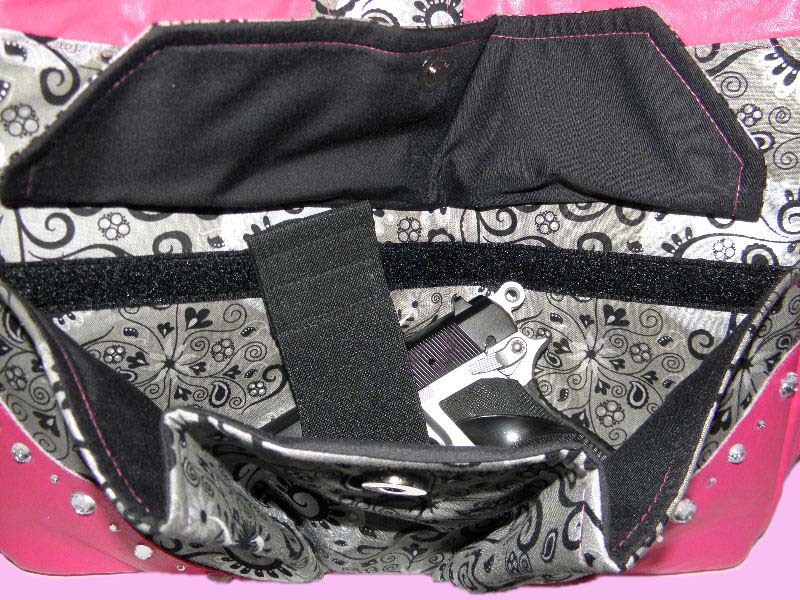 Add an elastic loop to secure your gun inside your holster so you can draw the weapon, and the holster stays in place. 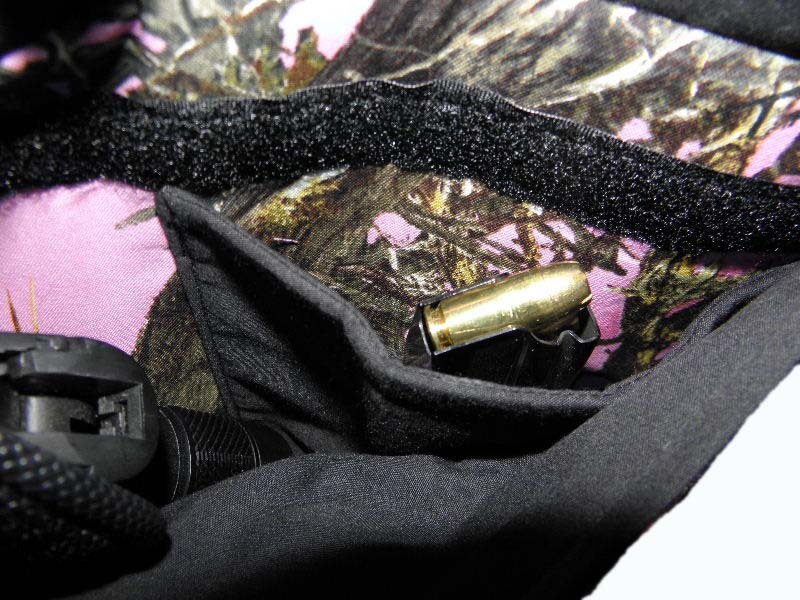 Located on the front side of the bag, should you need to shoot through the bag, and to counter balance the pockets on the back side. 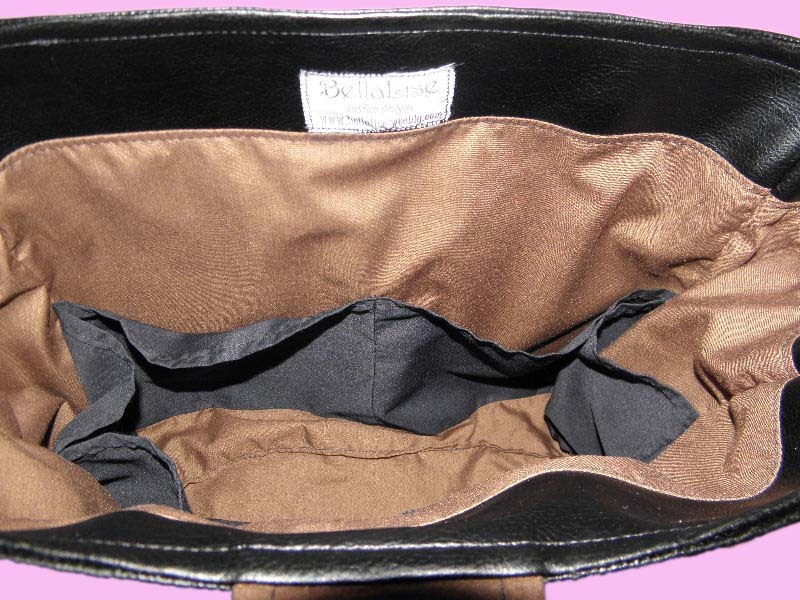 Cute little purse feet protects the bottom of your purse. 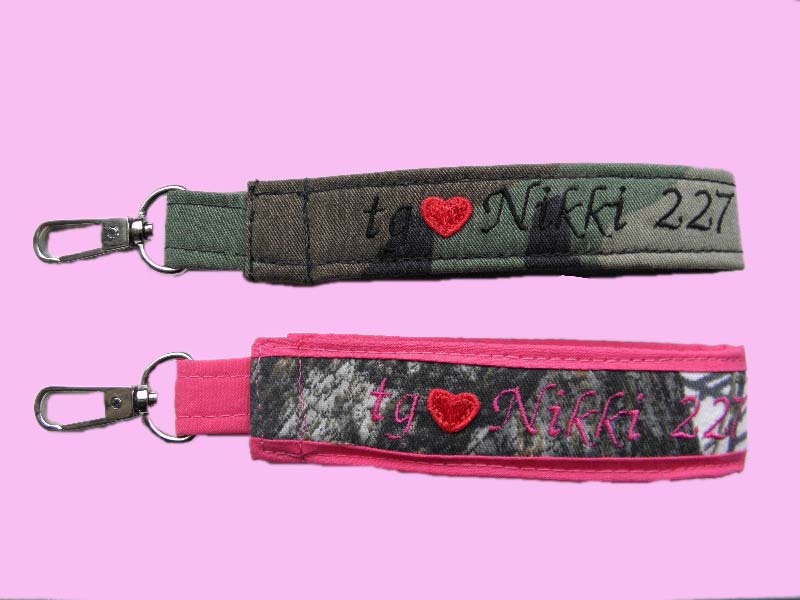 Two wristlet style key chains, with custom embroidery. $8.50 each. 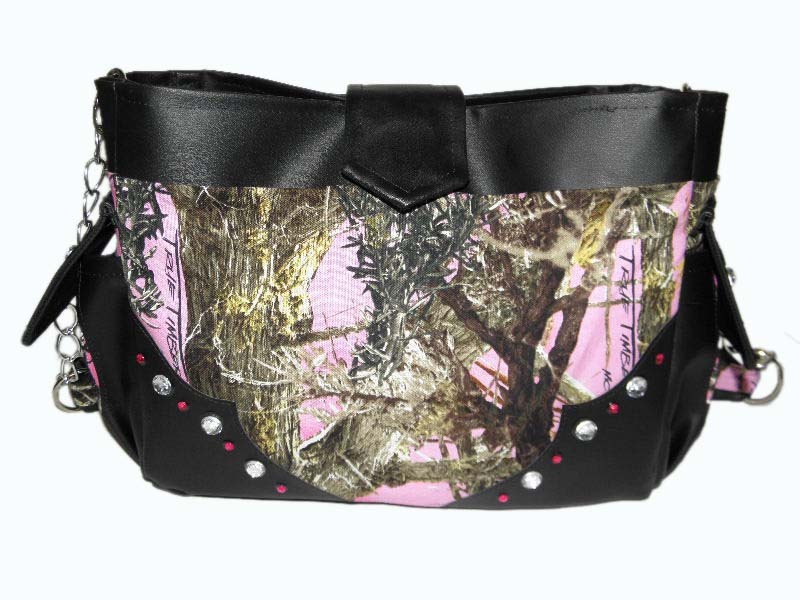 Bling bag in black vinyl and pink True Timbers. Measures 14 x 9 x 5. Available in my Etsy store. 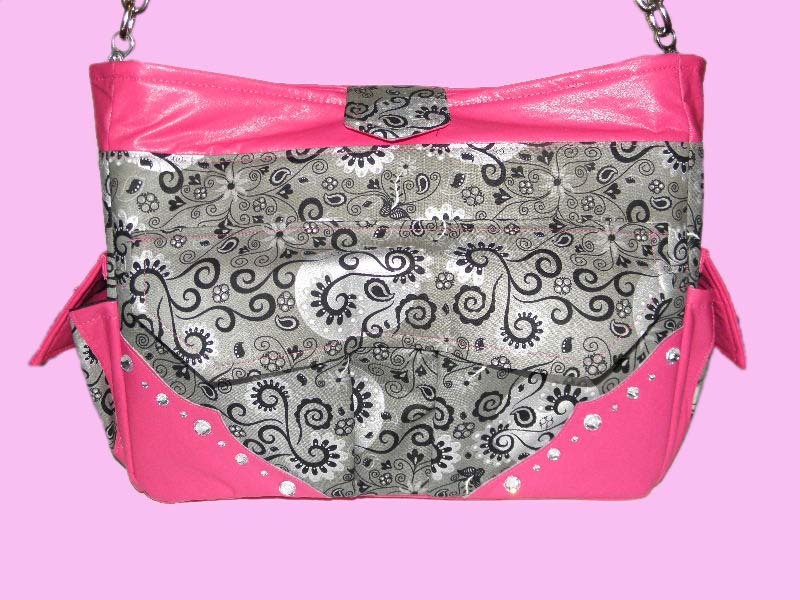 Side pockets also have bling, and the single messenger strap is secured with grommets. 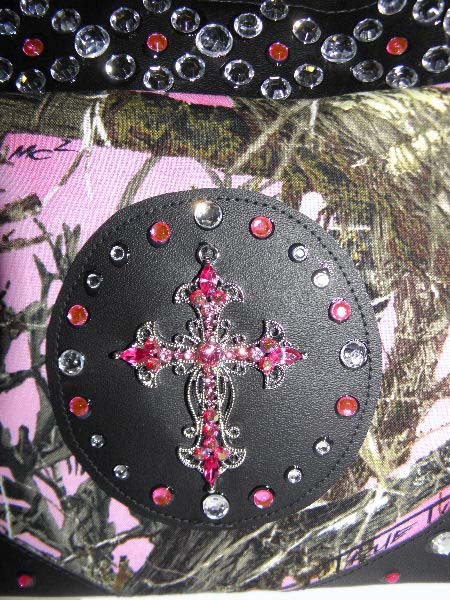 Beretta patch for the front, surrounded by rhinestones. 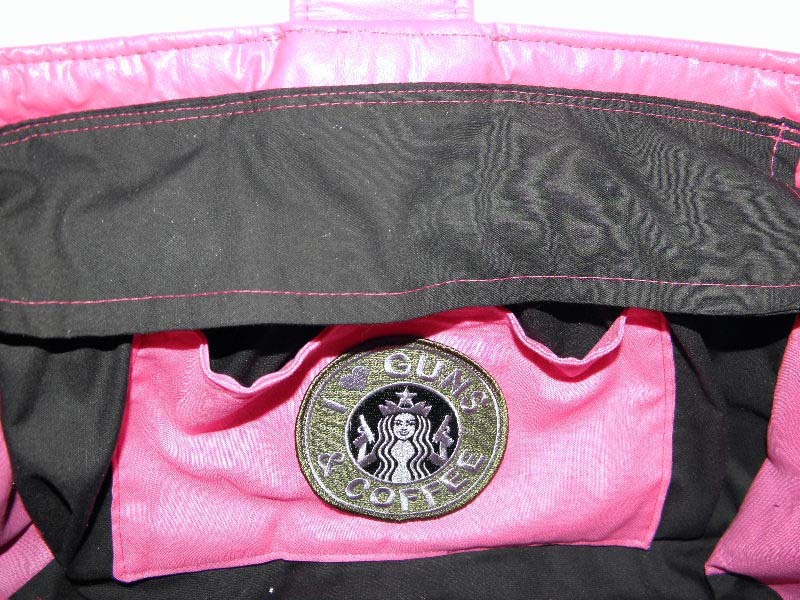 Back side has a concealed carry pocket with magnetic closure and an "I <3 Guns & Coffee" patch in subdued colors. 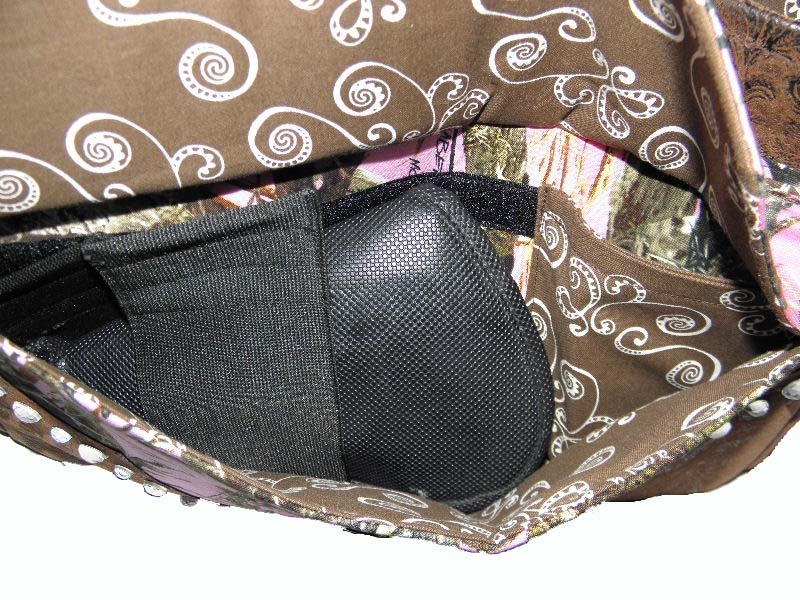 Concealed carry pocket holds the holster in place with an elastic strap. Firearm can be drawn, and the holster stays in place. 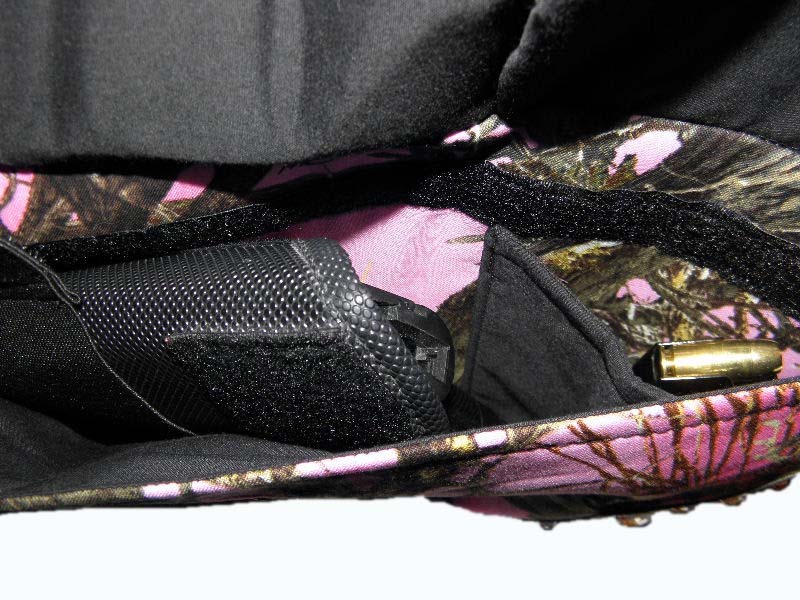 Additional pocket for an extra magazine. 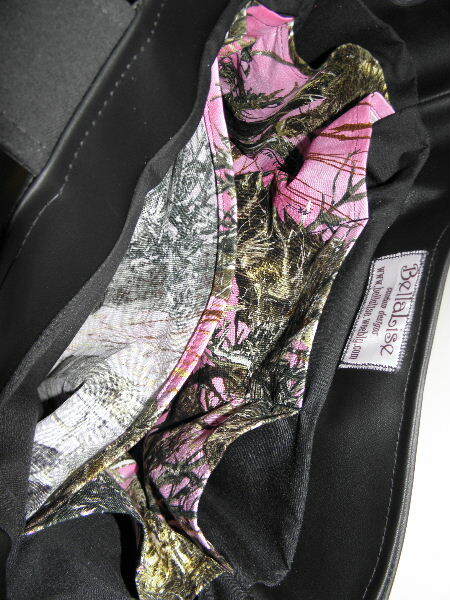 Lots of inner pockets in pink True Timbers. Added bling to the strap to pull it all together. 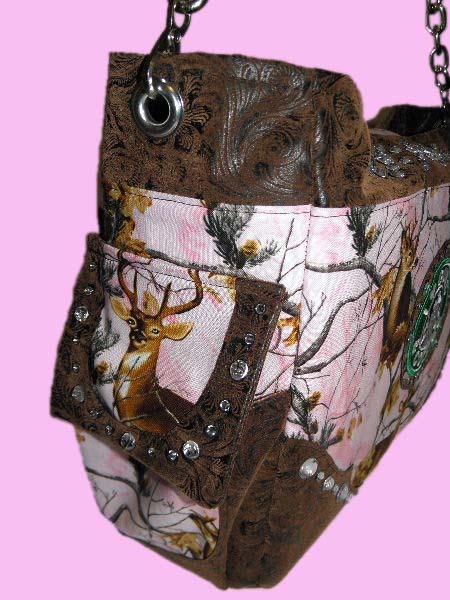 Feet added to the bottom keep the purse off the ground. 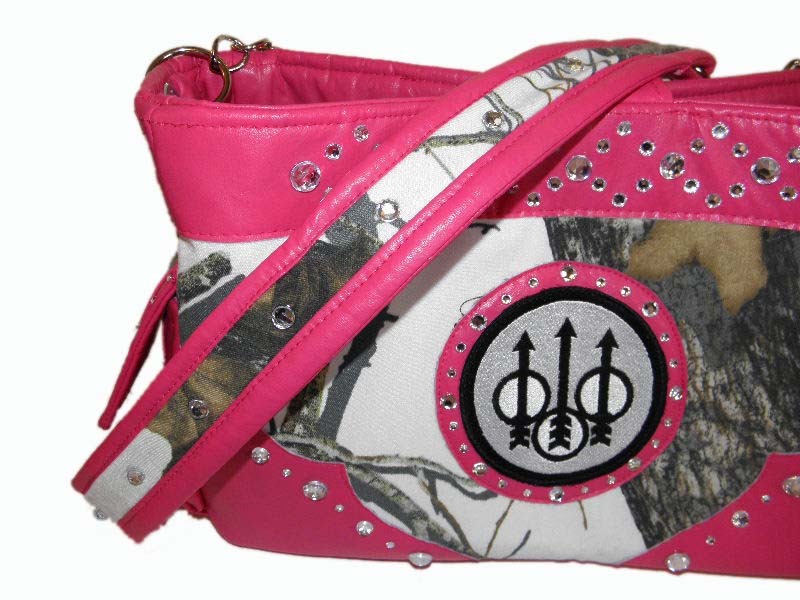 This is a smaller version of the bag above. 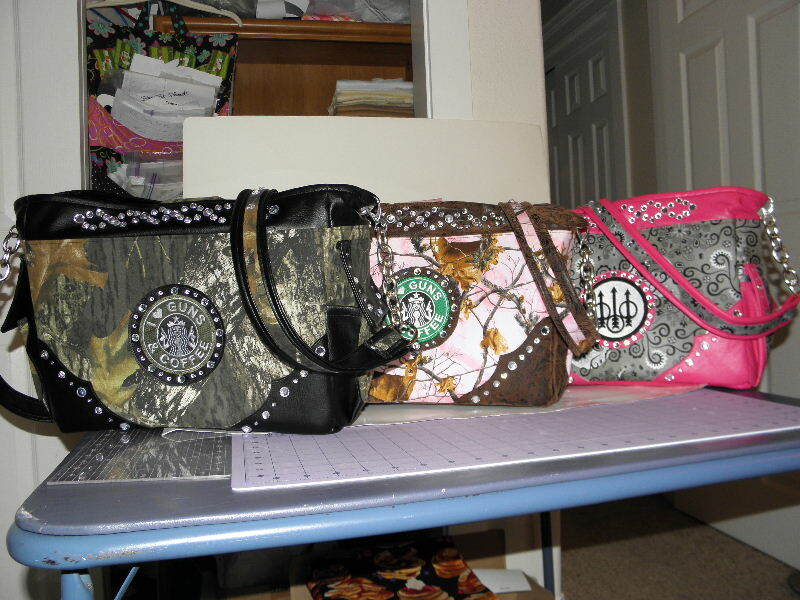 Measures 12 x 9 x 5, and has a cross on the front with a messenger strap. Jewels are clear and pink. 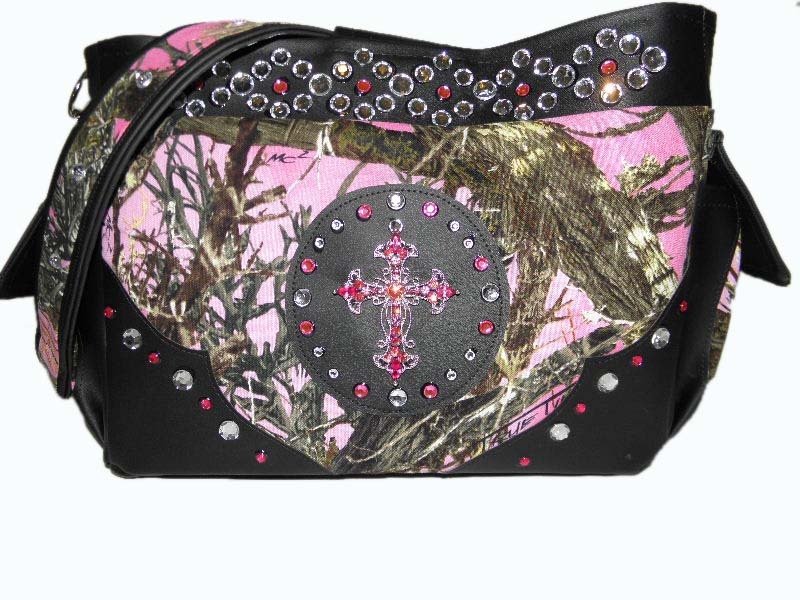 Cross on the front of the bag, surrounded by rhinestones. 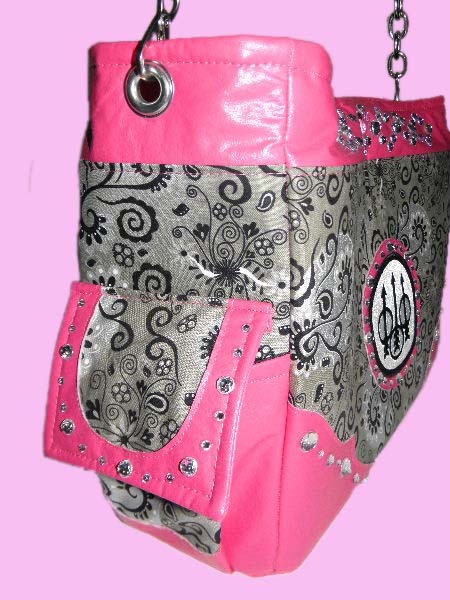 Side pockets with bling on the flaps. Back side is solid with a magnetic closure. 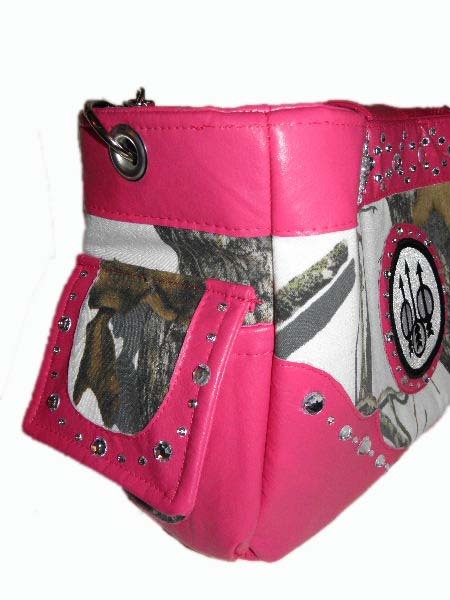 Inside pockets pink True Timbers with one larger pocket for a wallet. 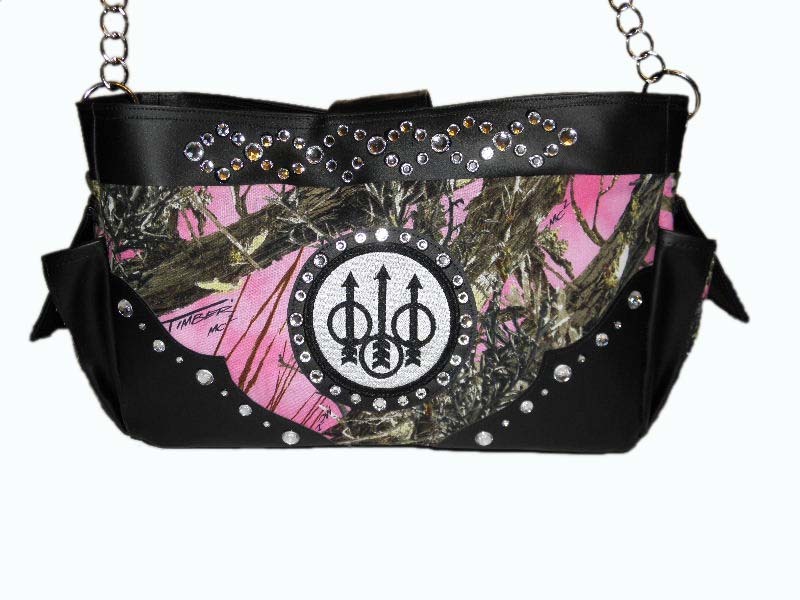 Same bag as the above purse in pink True Timbers and black vinyl. 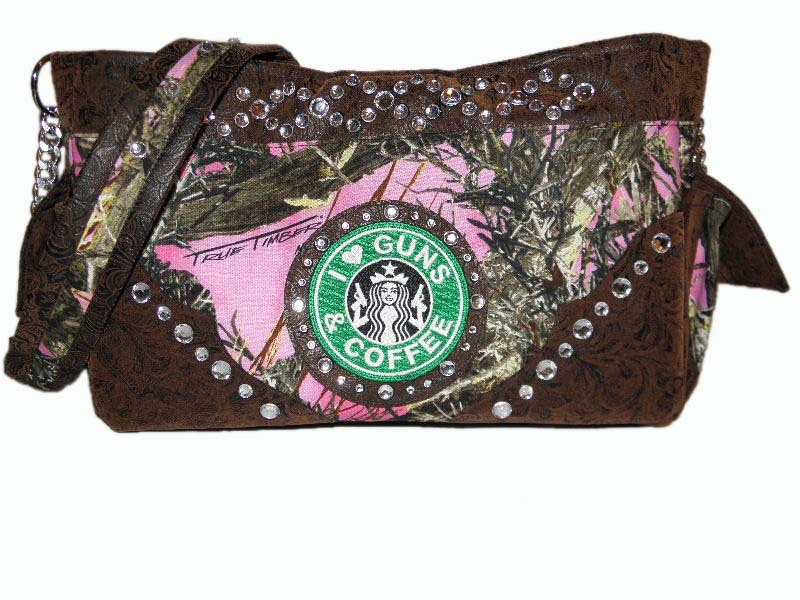 This one is pink and brown suede with an "I <3 Guns & Coffee" patch in green. Green patch in the front circle. Also available in other options below. 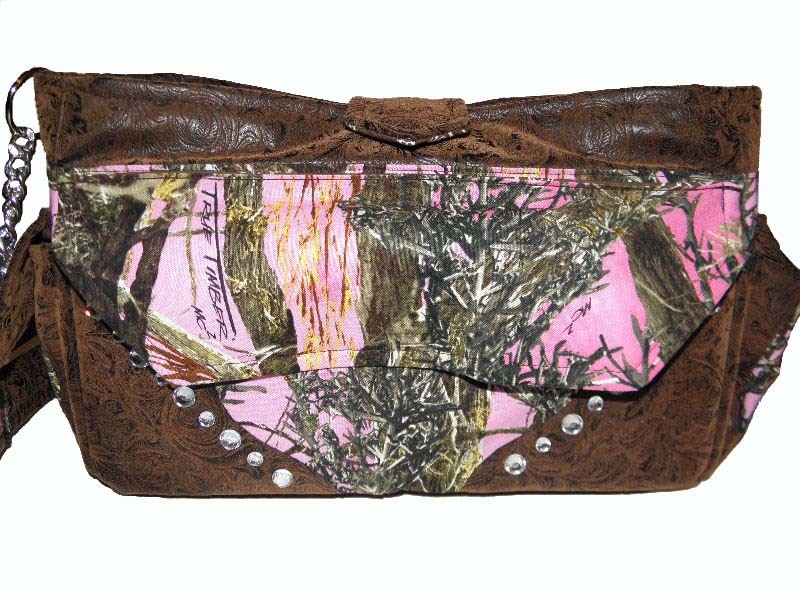 Back has a concealed carry pocket that closes with a magnetic closure for silent firearm draw. Silver purse feet protect the bottom. 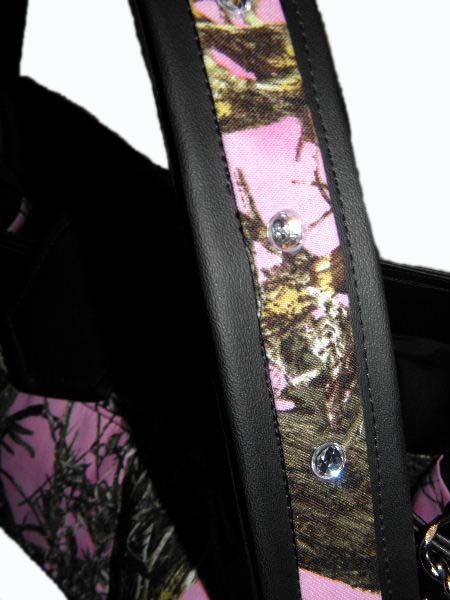 Elastic straps fasten either around the holster (as shown), or through the holster belt clip. Right or left carry position. Additional magazine pocket inside the cc pocket. Holds either one larger capacity magazine, or two smaller mags. 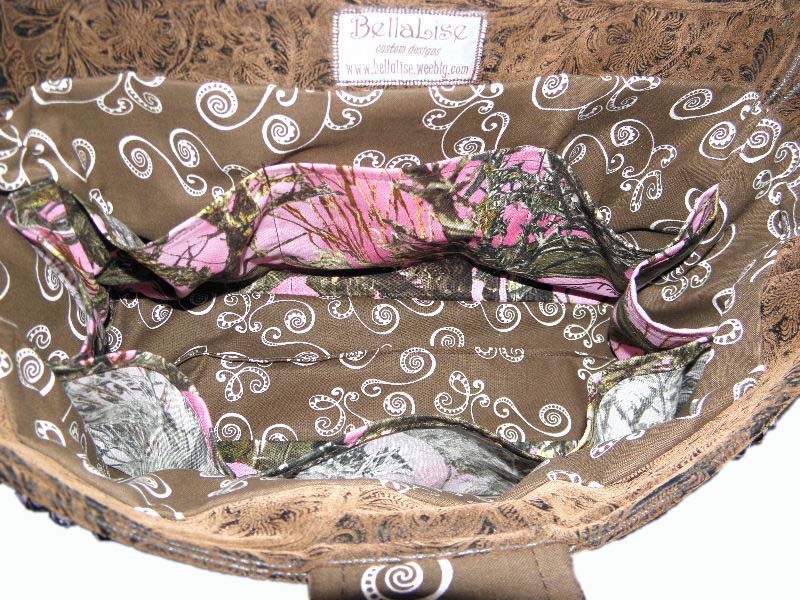 Inside lining is brown with white swirls, with pink True Timbers pockets. Side by side of the two bag colors. No reason a cc bag can't be functional AND beautiful, right? Available patches for the front. 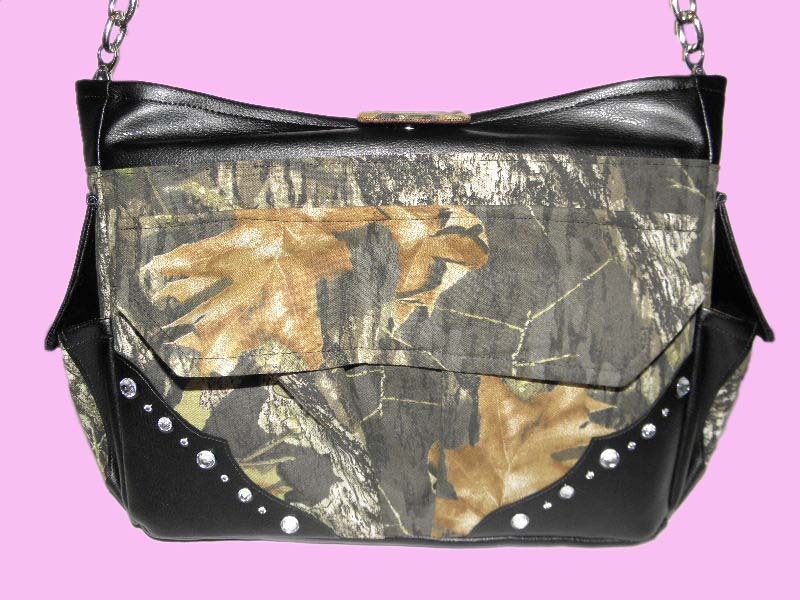 Concealed carry bag Mossy Oak with black leather. 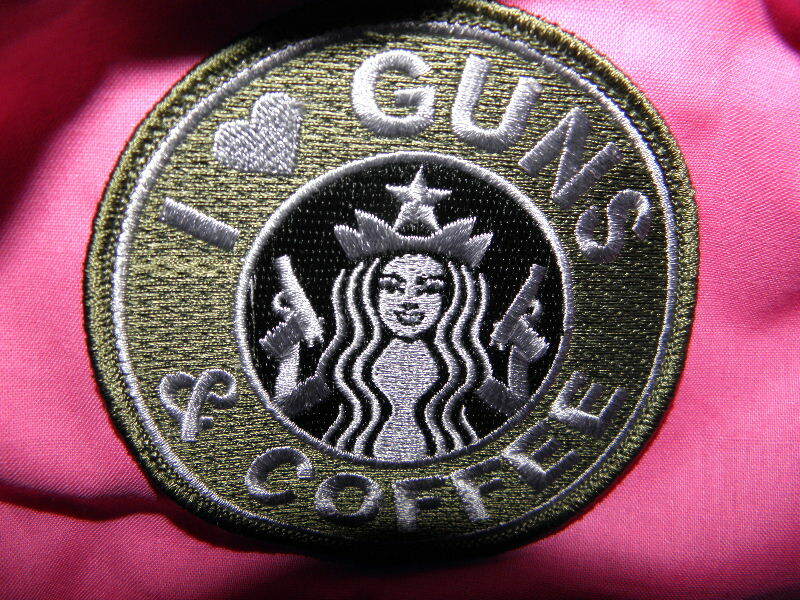 Front has I <3 Guns & Coffee patch in the subdued colors. 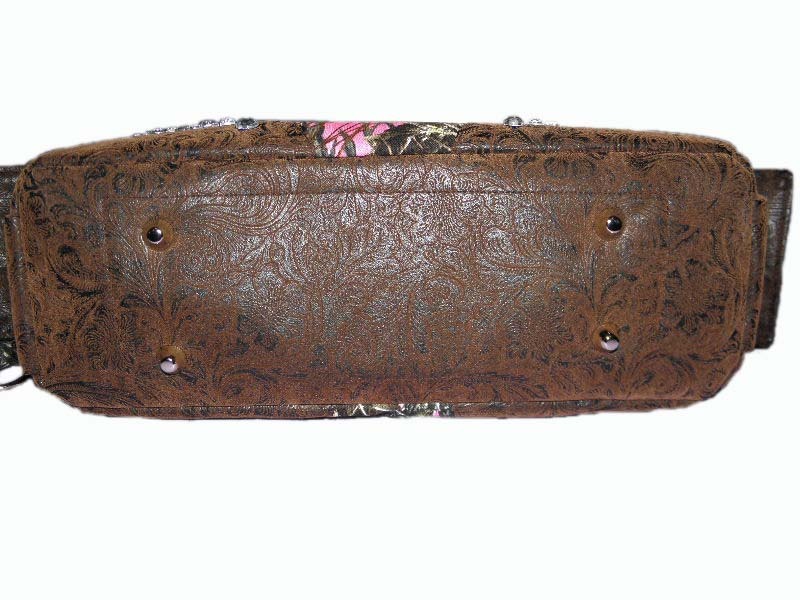 Single messenger strap. Available in my Etsy store. Concealed carry pocket on the back side. 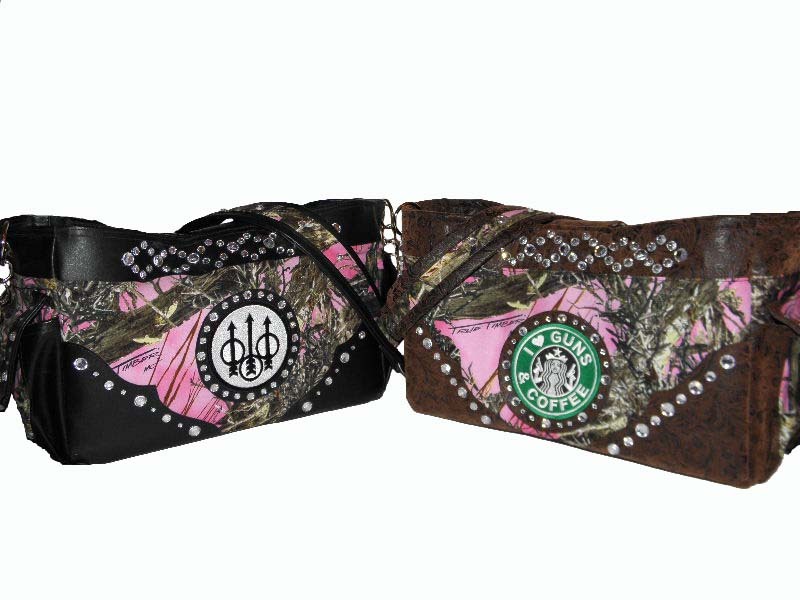 Add any cc pocket to any bag for $15. This pocket has an extra mag holder built in. Pictured holding a full sized Browning, so larger firearms will fit nicely. Shown WITHOUT holster, so you can see how it sits in the strap. 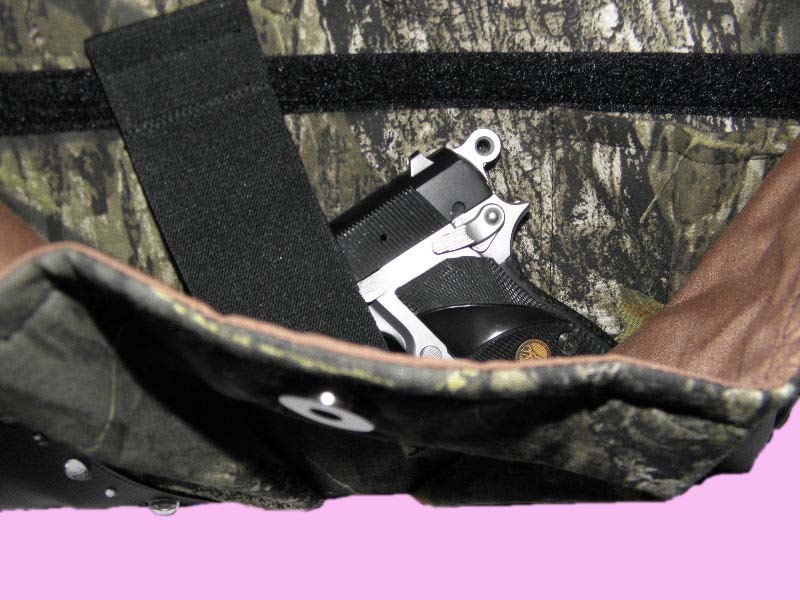 Strap goes through holster or around and secures the holster so the firearm can be drawn free. Right or left handed carry. 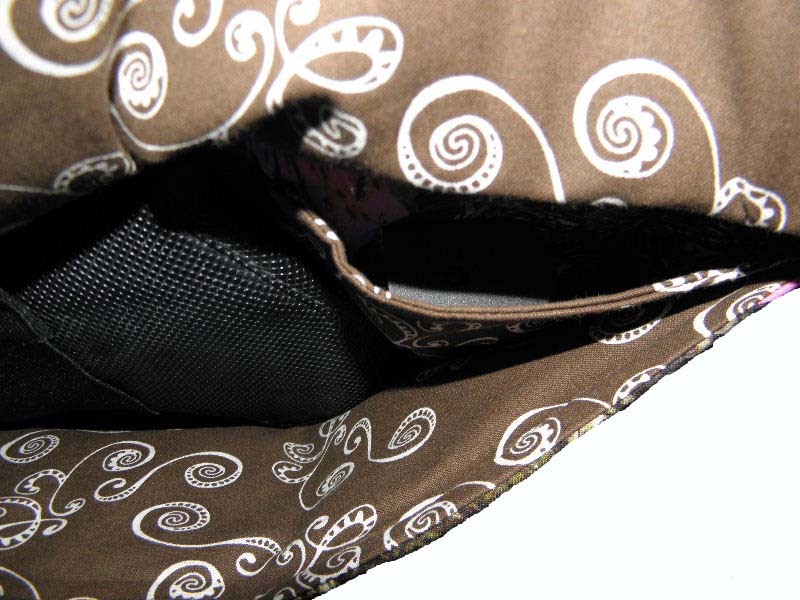 Inside lining is brown with black pockets. 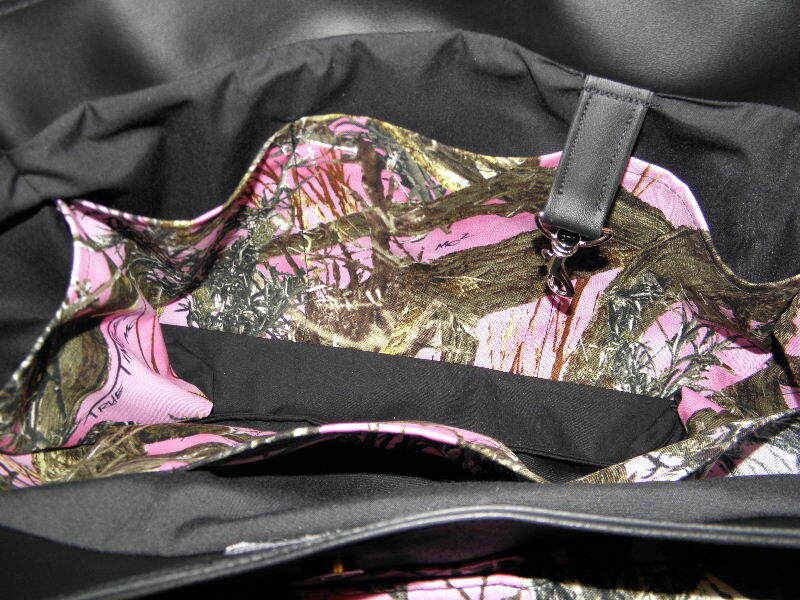 Pink, black and silver Beretta concealed carry bag. Featuring the Beretta logo on the front, and a single messenger strap. Available in my Etsy store. 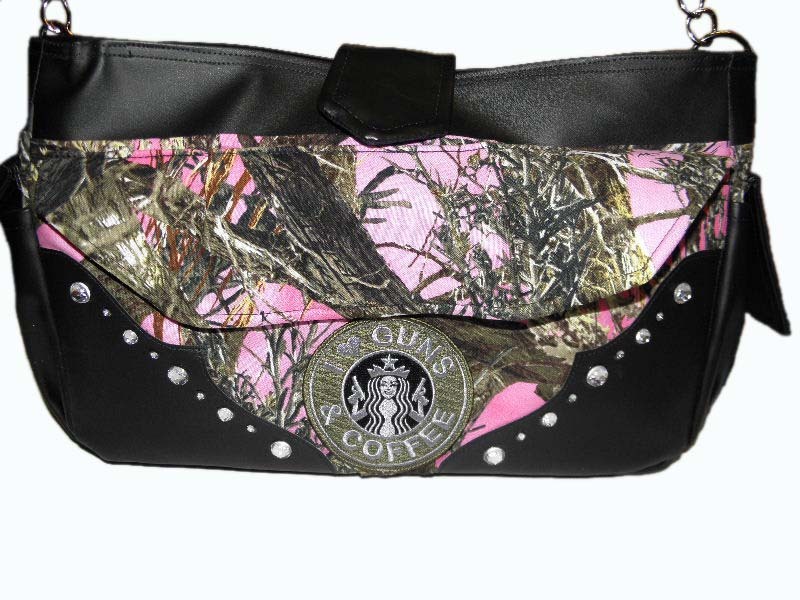 Back side has concealed carry pocket. 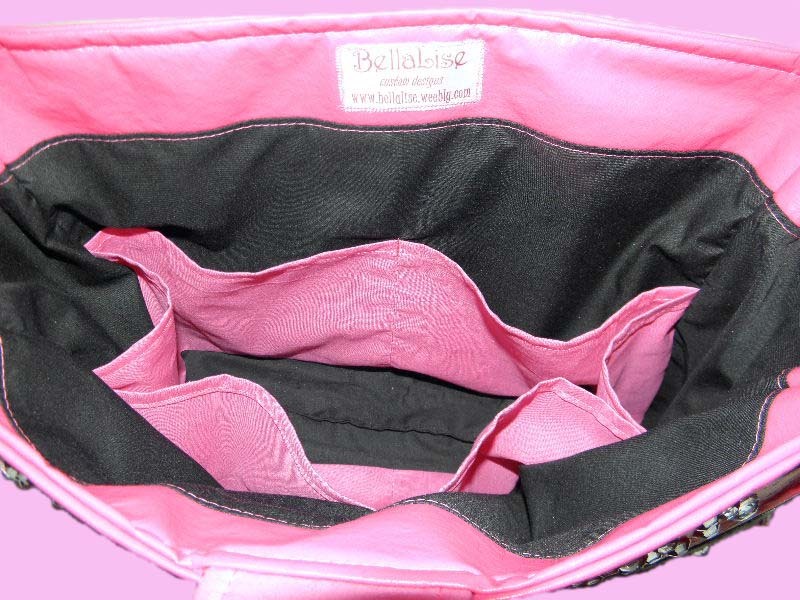 Add a cc pocket to any handbag for $15. Pictured holding a full sized Browning, so larger firearms will fit nicely. Shown WITHOUT holster, so you can see how it sits in the strap. 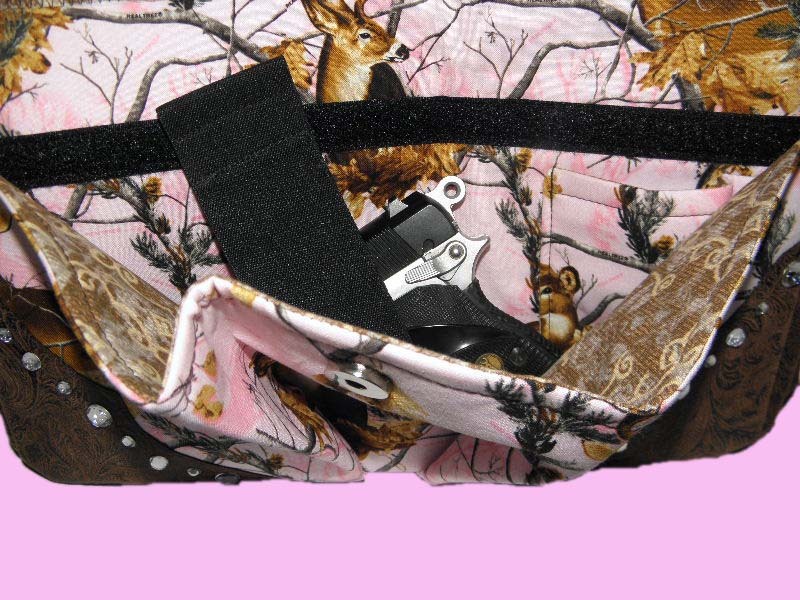 Strap goes through holster or around and secures the holster so the firearm can be drawn free. Right or left handed carry. 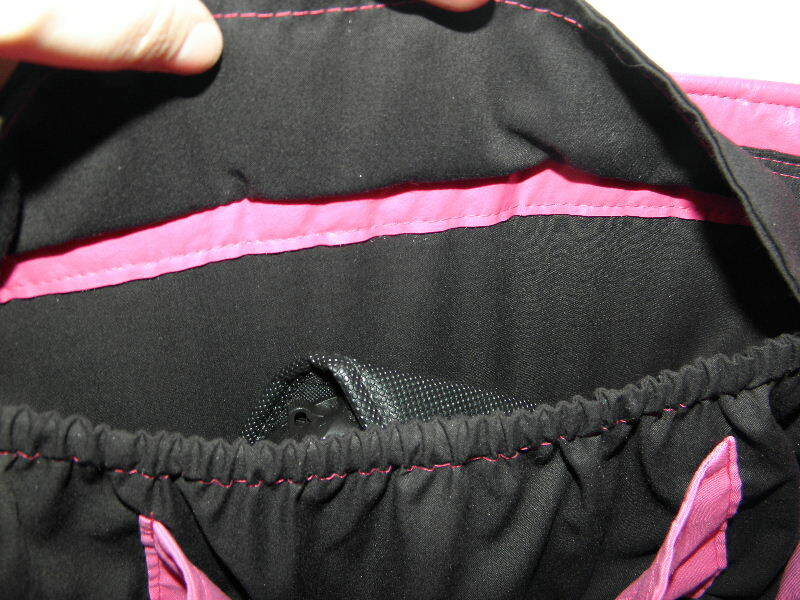 Inside lining is black with pink pockets. 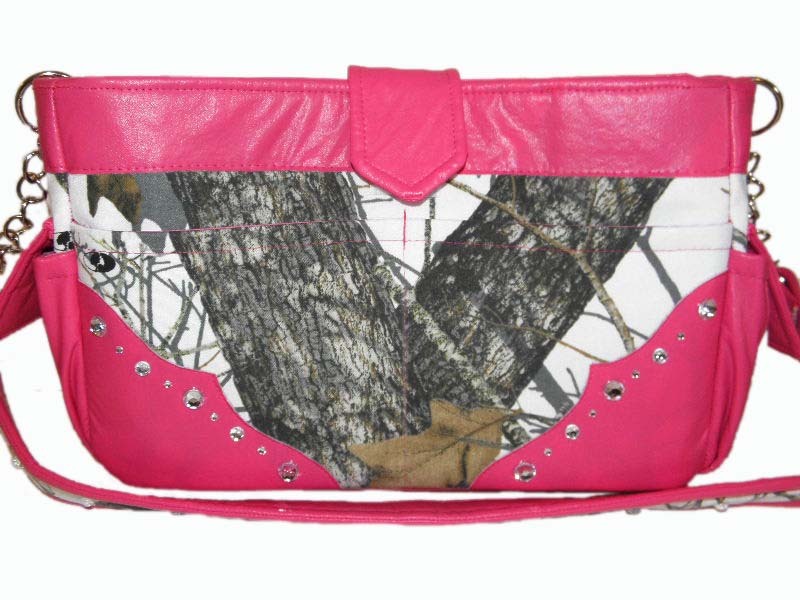 Pink RealTree Deer camo concealed carry bag. 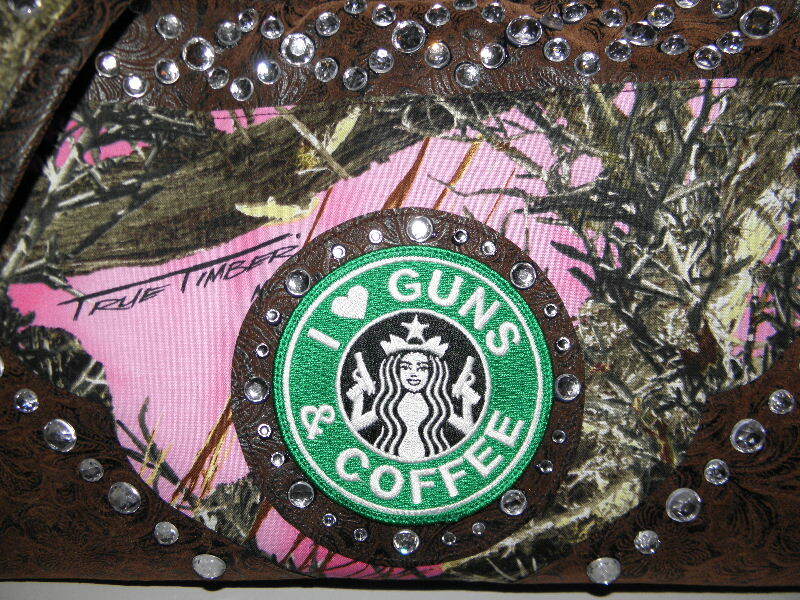 Features I <3 Guns & Coffee patch in green on the front. Single messenger strap. Available in my Etsy store. 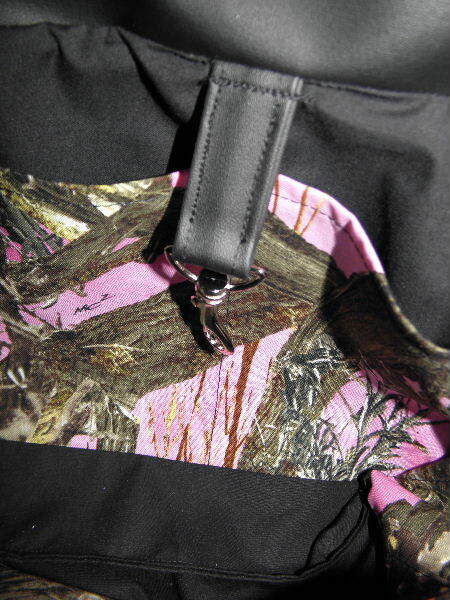 Back side has a concealed carry pocket with magnetic closure for silent, quick draw. 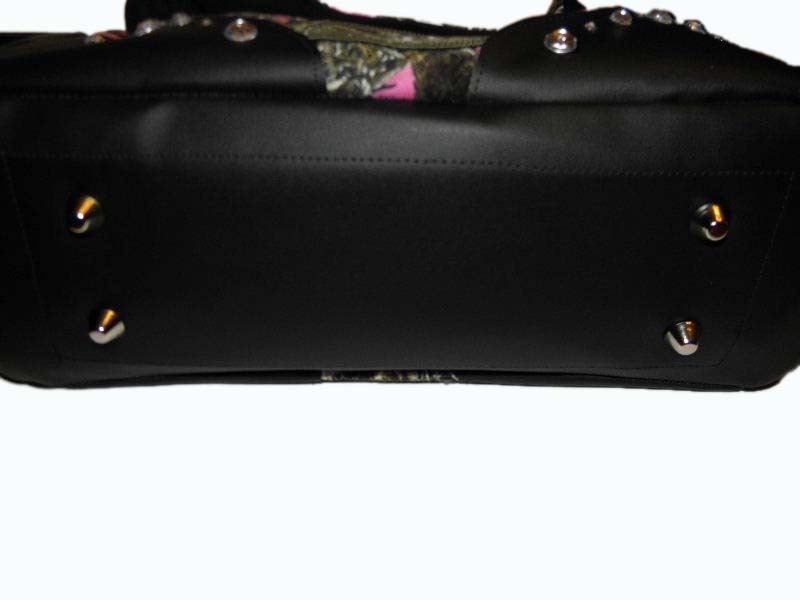 Add a concealed carry pocket to any handbag for $15. 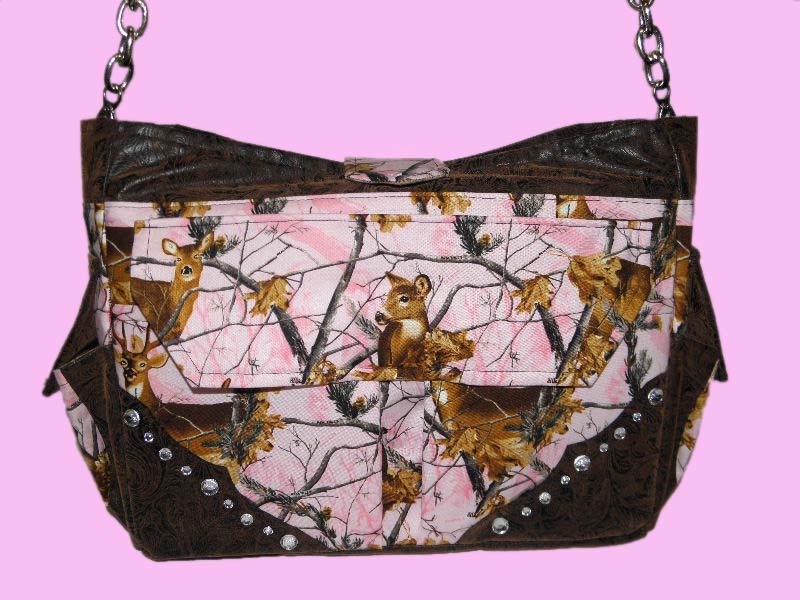 Inside lining is brown and tan swirl with pink camo pockets.